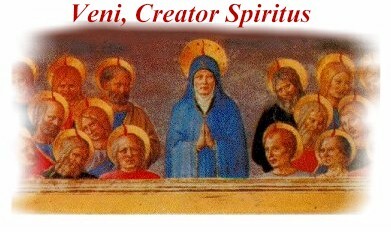 One of the most widely used hymns in the Church, Veni, Creator Spiritus, is attributed to Rabanus Maurus; (776-856). It is used at Vespers, Pentecost, Dedication of a Church, Confirmation, and Holy Orders and whenever the Holy Spirit is solemnly invoked. A partial indulgence is granted to the faithful who recite it. A plenary indulgence is granted if it is recited on January 1st or on the feast of Pentecost.